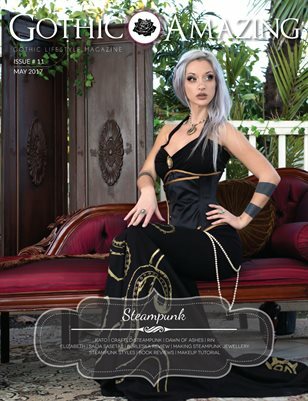 G&A issue #11 Steampunk Find inside interviews with Kato, Dawn of Ashes and Crafted Steampunk. Articles "A Future Running on Steam", "Steampunk Styles", a Steampunk Glam Makeup Tutorial as well as a "Get the Look" by Silky. Editorials by Rin, Elizabeth, Daedra & Lady Elbereth, Saija Sasetar. Also, find a review by Eleine on Burleska, a book review and an exclusive short story by Alan D.D. Tabloid / 17" x 11"